Although first occupied in the Jari Period (ca. 5500 B.C.) 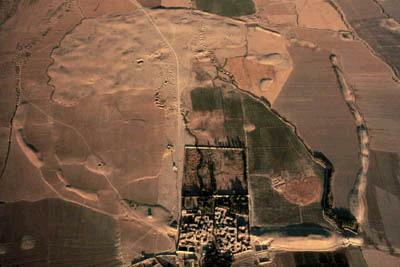 or earlier, Malyan flourished during three great eras: the Banesh Period, (ca. 3500-2800 B.C.) Banesh- ABC Banesh-TUV , the Kaftari Period (ca. 2200-1600 B.C.) Kaftari , and the Middle Elamite Period (ca. 1300-1000 B.C.) Elamite see also Qaleh Kiln . Evidence of later occupation includes Parthian and Sasanian coins found in burials, a Sasanian pottery kiln, and surface evidence for Sasanian and Islamic occupations.